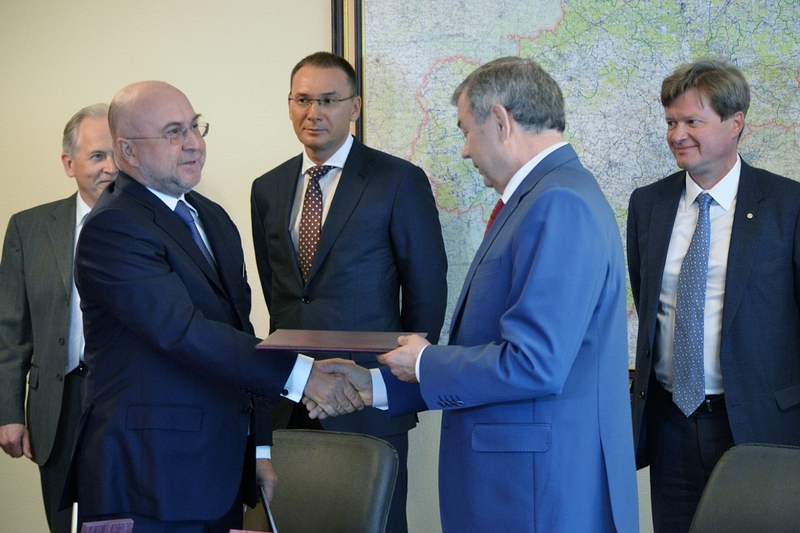 Kaluga Region Government and Mir-Pharm signed a memorandum of understanding on an investment project providing for construction of a plant to produce highly efficient pharmaceutical substances and solid dosage forms. The memorandum was signed on June 30, 2016 by Anatoly Artamonov, Kaluga region Governor, and Iskandar Ismagilov, Director, Mir-Pharm OOO. 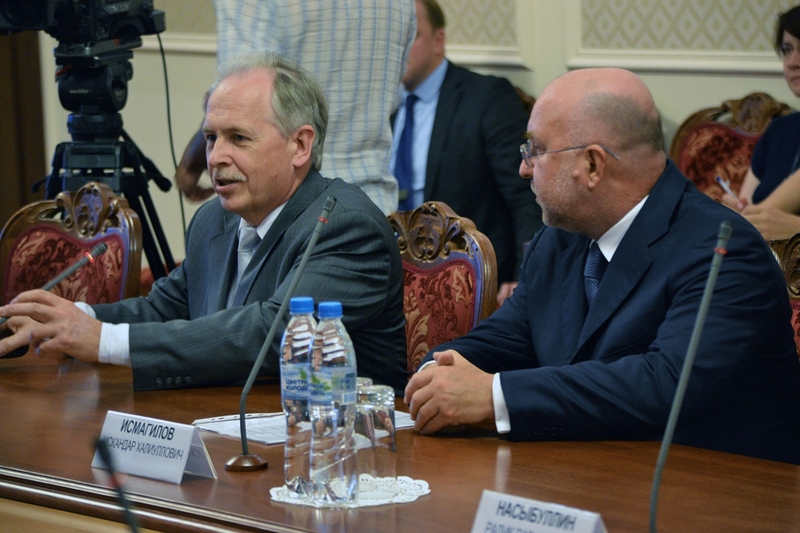 The parties have reached a preliminary agreement to build a new plant to produce medicines in Kaluga special industrial economic zone. Mir-Pharm has chosen a site located in Borovsk district, at the border with Moscow. 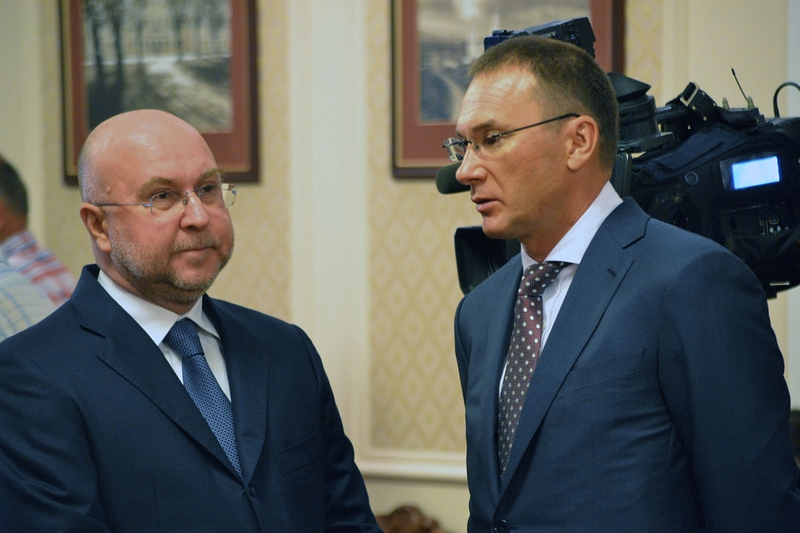 The company is to invest about RUR450 million in this project, up to 170 new jobs are to be created. The production facility if to manufacture 500 million tablets and 100 million capsules per annum. Today Mir-Pharm markets its products not only in Russia, but in a number of adjacent countries as well, for instance in Belarus, Ukraine, Azerbaijan, Moldova, Kazakhstan, Kirgizstan. Certain products are on the list of vitally important and the most important medicines in the Russian Federation. Mir-Pharm Group (Mir-Pharm OOO and Obninsk Chemical and Pharmaceutical Company ZAO) was established in 2001. It operated in the experimental sector of Medical Radiology Science Center of the Russian Academy of Sciences in Obninsk. Today Mir-Pharm Group manufactures pharmaceutical (medical) substances and finished dosage forms used primarily in such areas of medicine as gynecology, neurology, cardiology, transplantology, surgery, ER anesthesiology. From the very beginning Mir-Pharm successfully implements its import substitution program, providing for replacement of expensive imported medicines with affordable Russian products of equal quality. 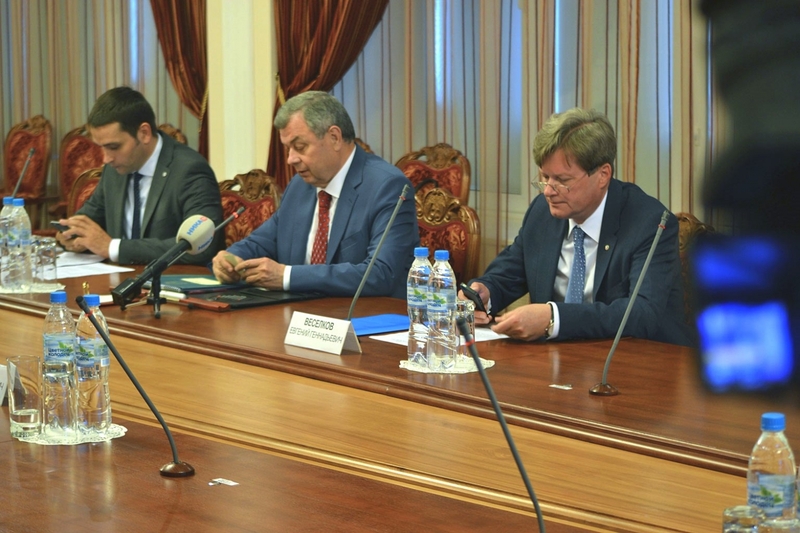 Iskandar Ismagilov said: “The plant to be built in Kaluga region is to manufacture a wide range of products for various areas of medicine, including for central nervous system, brain blood circulation, blood vascular system. We will pay special attention to production of obstetrical and gynecology medicines. The plant will be a full-cycle production facility. This will help us develop processes to produce new medicines. The first stage of the project is to be completed in three years”. 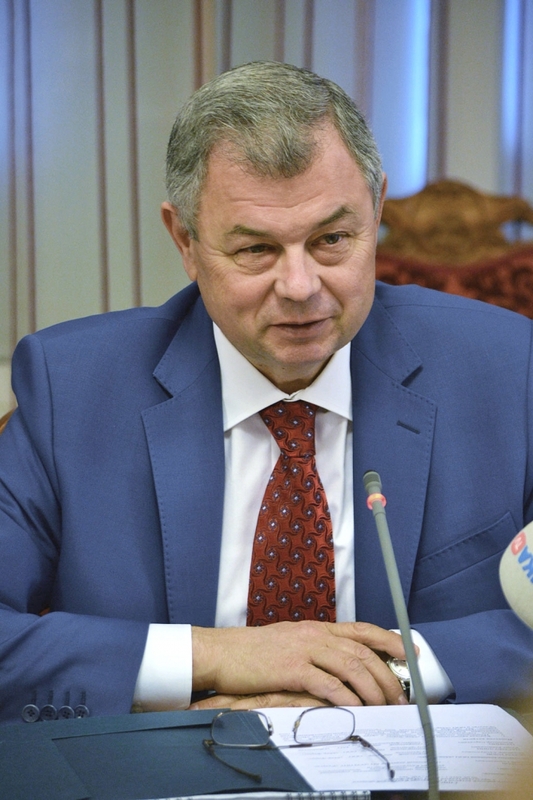 Anatoly Artamonov noted that it was very important that the investor was a company which had successfully operated in Obninsk, Kaluga region, for 15 years. He also highly praised the company management’s intention to produce medicines under an import substitution program and to increase the production output. 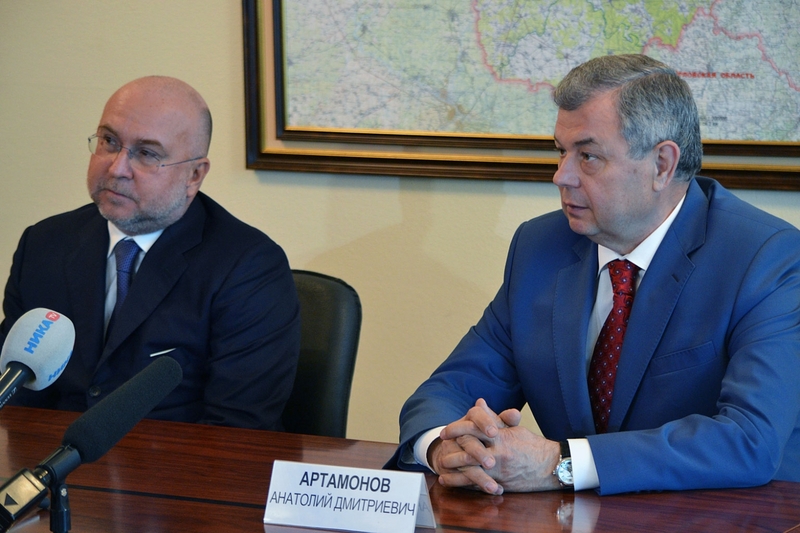 Anatoly Artamonov said: “Kaluga region pharmaceutical cluster develops steadily. New plants are being commissioned and the degree of localization and cooperation improves significantly. Today the cluster consists of 63 member companies. Mir-Pharm is a company with good R&D potential, which may improve Kaluga cluster positions in the Russian market”. In 2015 Mir-Pharm launched the production of three import substitution generics using substances manufactured by OKhFK ZAO, including the first Prukaloprid generic in the world. The company plans to register eight more medicines in 2016, including popular gynecology medicines Atoziban and Karbetocin. These will be the first Russian generics of the said medicines. Today about 30 new medicines (inclusing eight original ones) are being developed and registered. The medicines are to be used in such areas as gastroenterology, gynecology, urology, ER, neurology and oncology. The achievements of Mir-Pharm in the field of innovations are proved by the fact that the company has been a laureate of TechUspekh rating of dynamically developing hi-tech companies for four years. Kaluga Region pharmaceutical companies manufacture over 109 types of products, about 20 new medicines are being registered, several dozens more are being developed. Finished dosage forms account for over 80% of the cluster output. In 2015 the cluster produced medicines for RUR 19 billion. According to results of a survey of 750 clusters carried out by European Secretariat for Cluster Analysis (ESCA) only five Russian clusters received Cluster Excellence bronze certificate, including Kaluga pharmaceutical cluster, which had the highest rating in Health and Medical Science group. It was compared to 19 leading European clusters operating in the same business area.